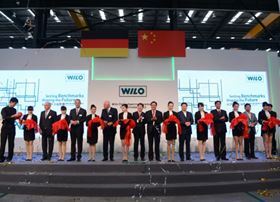 With the new plant, Wilo’s Chinese subsidiary in Beijing has increased is floorspace to 20 000 sq m.
Wilo intends to build on its market position in China through the new facility, and offer a faster delivery service to its customers in Asia. About 900 people currently work for Wilo in China. The pump company has been present in the Chinese market since 1995.